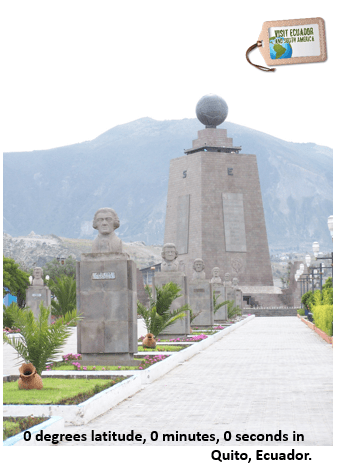 On your visit to the city of Quito, one of most popular and fun day or half day trips is a visit to the monument of the Center of the World, located almost in the equator. Start your trip from Quito and from there you can find public transportation or hire a taxi to take you there. Don´t take any taxi, get your hotel to order it for you. Here you can find some great options of places to stay in Quito. You can book a tour so that you can enjoy more attractions in the same amount of time, it will ease communication barriers and avoid the hassles of planning and logistics in the city. Here are some of the tour options available for you. The monument is actually there due to the French Geodesic Mission that wanted to determine whether the earth’s circumference was greater at the Equator or around the poles. The monument is one of the places on earth where you can stand on both hemispheres at once! 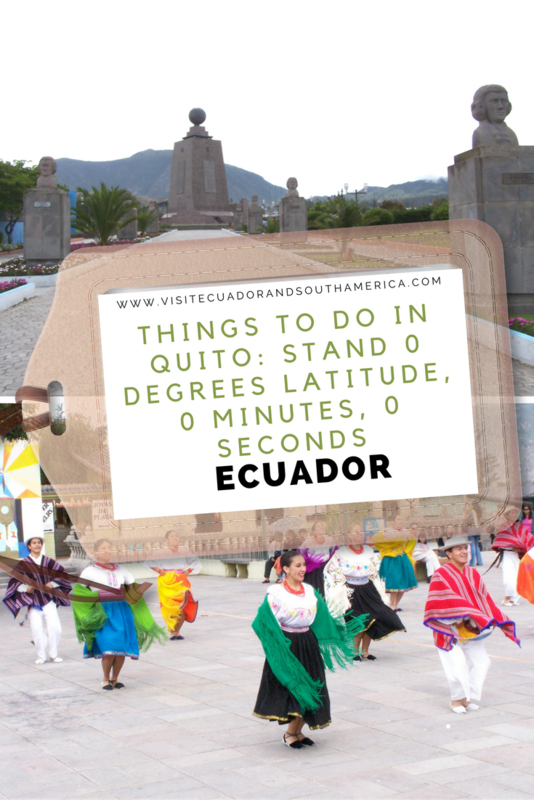 Standing in front of the monument on 0 degrees latitude, 0 minutes, 0 seconds in Quito, Ecuador, is actually the perfect spot for a memorable snapshot. In addition, inside the complex you will find that there are some stores selling handcrafts brought from all around the country, others selling snacks, and some nice restaurants, many with traditional food from Ecuador. Next to the complex you find a very interesting museum, the Intiñan, a hands-on museum with lots of exhibits where tourists can test and learn about the Coriolis Effect to how standing on the equator line has a direct influence in the muscle strength. Some minutes away by public transportation or by car you can visit Pululahua crater. 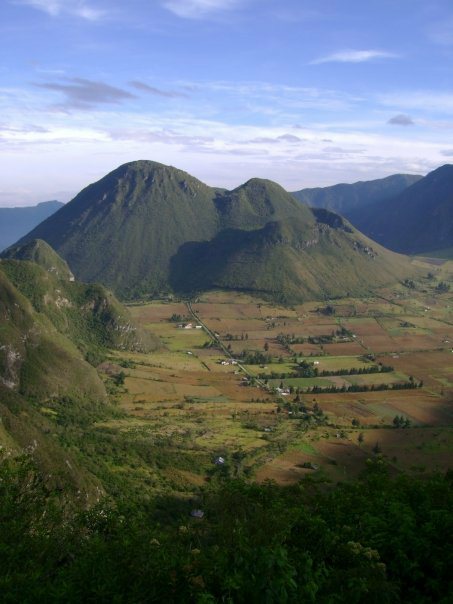 If you are already out and about, just some minutes away by car you can visit the Pululahua crater, which is now inactive and from the look out point located at the top you can admire the Pululahua Geobotanical Reserve, where among some flora and fauna you will find a small settlement of approx. 40 families. There are plenty hiking trails inside the crater, but from personal experience going down is a lot easier than coming up. In addition you will find that horse riding as well as mountain biking are other common activities around the area. The best views can be admired from the top, next to the parking lot. Looking forward to standing on both hemispheres at once?